In our common life in KC, how can we discover our differences as gifts to make our world better? CRES is a 501(c)(3) institute promoting understanding of all faiths through teaching, writing, and consulting. but we no longer create new ones. American Indian, Baha'i, Buddhist, Christian Protestant, Christian Roman Catholic, Jewish, Hindu, Muslim, Sikh, Sufi, Unitarian Universalist, Wiccan, Zoroastrian. —Ellie Pierce, principal researcher for Harvard University's Pluralism Project, 2007. Vern's KC Star column has ended. so long as credit and contact information is included. Please inform us of your intent to use. Thank you. and the sacred found afresh. CRES may be the most connected interfaith effort in Kansas City, and the only one wedding academic competence with practical activities, but many groups are involved one way or another in promoting interfaith understanding. An increasing number of organizations bring interfaith awareness to their work. 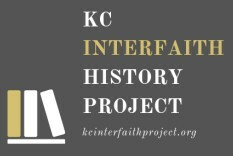 For a list, please see our report,KC Interfaith Opportunities, and let us know about the groups we missed. CRES is a 501(c)(3) charity as determined by the IRS in its 1985 July 17 letter. It is a Kansas not-for-profit also registered in Missouri. 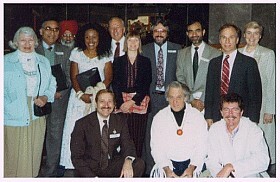 It is operated by a Board of Directors and led by the Rev Vern Barnet, DMin and a volunteer staff. CRES, with its scholarly capacities and practical networking, has been central tothe development of interfaith work in Kansas City and has been nationally recognized by CBS-TV, Harvard University's Pluralism Project, and in other ways. Because of our professional volunteer staff, your gift to CRES provides an enormous "bang for the buck."